According to Denver-based independent price-reporting agency Cannabis Benchmarks, the wholesale prices of marijuana in legalization states are plunging dramatically with no sign of slowing down. Prices have been in a steady decline for 18 months: In 2016, the Cannabis Benchmarks U.S. Spot Index showed an average price of $1,789 per wholesale pound, in 2017 this decreased 13% to $1,562 per wholesale pound, and the latest months of that year saw it fall to $1,500, signaling further plunging throughout 2018. Generally speaking, wholesale prices of marijuana vary greatly from state to state, but they do go through similar price fluxuations in the few years they have been around. In California, it costs approximately $20 per gram, but it is projected to fall by as much as half in the next 6-12 months. In Washington, the price fell from $25 per gram in July 2014 to less than $10 in July 2017. Market watchers feel that the price collapse in California and other states will mirror that of Washington. 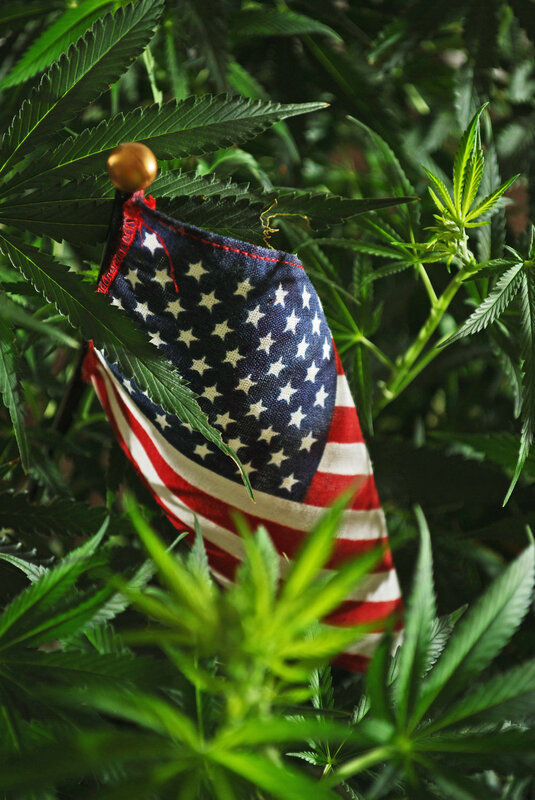 Thus far, each state that has legalized has experienced an ‘initial onslaught’ of consumers, mostly buying high-end strains, in the months immediately following legalization. However, this volume doesn’t last and because producers tend to grow vast quantities, the market soon becomes flooded with too much product to be consumed - bringing the overall price down. The price drops are difficult to predict, but however the market goes, the biggest loser is certainly the black market. While the black market value in California is $13.5 billion, the legal market will be worth at least $5.1 billion in its first year alone - a troubling sign for the future of the bottom line of organized crime groups. Additionally, it is becoming cheaper for business to grow and market marijuana. “New technology coupled with continuous efforts to save costs through new production methods like LED lighting for indoor grows, or greenhouses with light deprivation, will continue to push wholesale prices down,” Scott added. It should be noted that consumers are not going to feel the full impact of the reduction until the later months of the year because many dispensaries are pocketing the profits for now, but will not be able to do so for long. Market diversity has increased by over %1000 percent in most legal states which will force the larger providers to pocket less and spend more to battle their competition in what is shaping up to be possibly the most competitive market in the country.